Smoke poured from a Metrobus as injured passengers spilled out onto the pavement of a parking lot outside FedEx Field Friday morning. But don't worry. While it looked very real, it was all just a drill. First responders staged the scene to practice how to keep the public safe in an emergency. 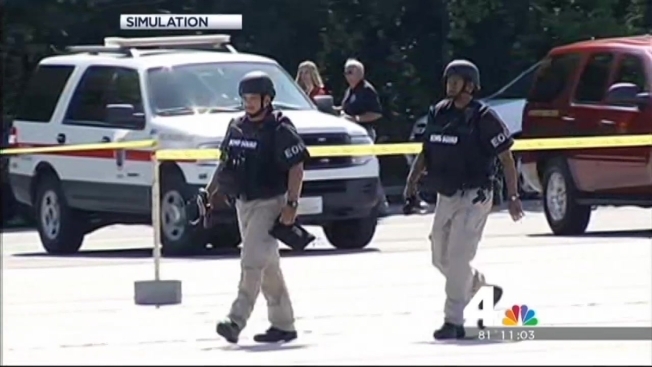 The training exercise was run by the Department of Defense, the National Guard and the ATF. Bomb technicians and EMS responders from Prince George's County went into the situation blind, not knowing what was about to play out. "All they know is there's been an explosion on the bus, so they don't know what the device is. They're going to get in there, analyze it, sort it out and come up with the best solution," said Prince George's County Fire Chief Marc Bashoor. Every effort was made to make the exercise feel as real as possible. Volunteers playing the injured wore fake blood and screamed for help; there was also real smoke. Friday's exercise at FedEx field was just one of several happening around the country.